It's officially been just over 24 hours since the world learnt the news that perpetual Hollywood dream couple, Angelina Jolie and Brad Pitt, are getting a divorce. In what feels like a truly surprising second twist, however, US Weekly is reporting that Pitt only found out about the divorce on Monday — allegedly the same day that Jolie filed documents for it. If this rumor is true, this seems like it could be the sort of news that was just as sudden as it was heartbreaking for Pitt. But, I imagine, also for Jolie. We know little for sure about what may have been the cause for the breakup of Brangelina, and I'm not about to speculate like so many before me. But, regardless of what did or didn't happen, the shocking nature of the split is the most real thing about the situation. I'm sure I'm not alone when I say that I damn near flew off my office chair in surprise (before opening my window and announcing loudly to my neighborhood that true love is officially dead) when I first read the news. In fact, all the various media responses to Pitt and Jolie's breakup confirm that I'm not alone on that. Hell, even George Clooney learned about the demise of Brangelina from a CNN anchor and looked genuinely shocked to the core as he heard it. So, clearly, we're all in this together, you guys. Pass the tissues. But anyone who has been through, or is currently going through, a breakup, will tell you that a split — no matter how many warning signs may have indicated its approach or which side of the couple has instigated it — can still feel painfully unexpected. Little can prepare you for when a great love affair is finally, completely over. That might be the nugget of truth in a wild rumor like this one. 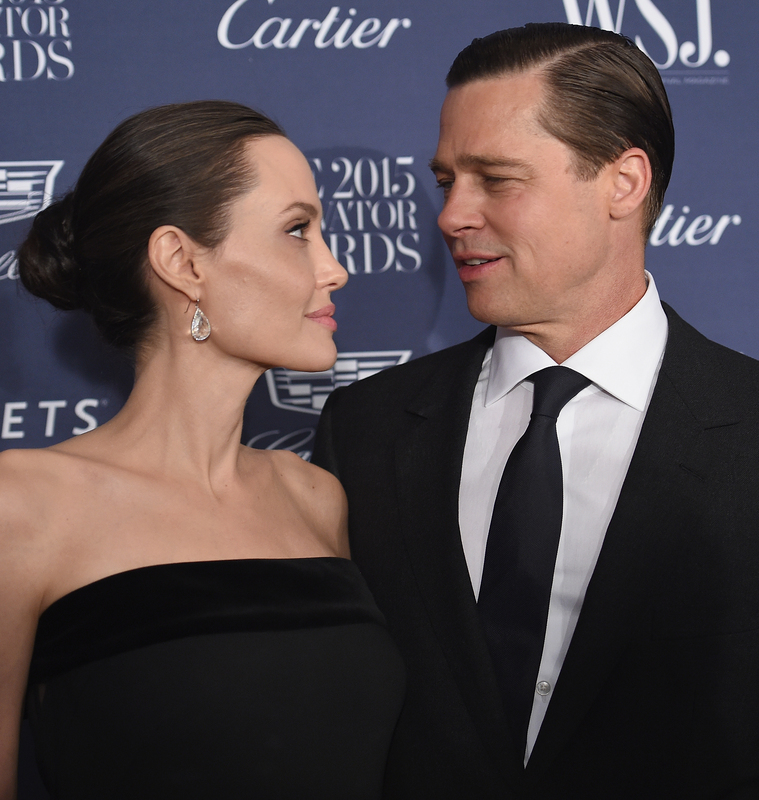 On Tuesday, Jolie's attorney released a statement confirming that she'd filed for divorce from Pitt, which read: "This decision was made for the health of the family. She will not be commenting, and asks that the family be given its privacy at this time." And in kind, Pitt also confirmed his divorce from Jolie to People magazine later that day, stating: "I am very saddened by this, but what matters most now is the well-being of our kids... I kindly ask the press to give them the space they deserve during this challenging time." The statements are respectful and professional. They're the sort of brief explanations that you might glean from close friends on social media who are in the midst of experiencing a painful, sudden breakup. You don't really have to know all the gory details of the split, but just what they need in order to make it through as painlessly as possible. The briefness of the statements might lend some credence to the idea that the decision was abrupt. And, ultimately, that also feels incredibly real to me in some way. If, as US Weekly is reporting, Pitt did only allegedly find out about the official breakup of his marriage one day before the whole world did, then that process is painfully true to life. Everyday people aren't spared the agonies of love when a relationship ends, and there's very rarely any time to process the news before friends and family, and sometimes people beyond those circles, become privy to it. So why should that happen for celebrities? In the upcoming weeks, it's inevitable that we'll be seeing the tabloid media speculating over the events that may have caused or led to Pitt and Jolie's breakup, with publications picking sides based on minor evidence or salacious rumors. And honestly? Those details simply don't matter. Often, when a long term relationship ends, there's an accumulation of warning signs, mistakes, arguments or betrayals that lead up to the final split. These can all often be symptoms, rather than the cause, of a relationship whittling down to it's final stages. It's devastating, heartbreaking and all too easy to deny that a relationship is over, even when everything indicates that it clearly is. So much so that even that final confirmatory act of ending things can still feel barely expected. For that reason, it's irrelevant whether Jolie or Pitt were aware of, or suspected that, a divorce was incoming for a while, or if Jolie had been silently planning it for weeks, or if they both had simply sat down and discussed the arrangements before hand. Nothing cushions that final blow when a long term relationship comes to an end. It still has the power to surprise and shock, even if you've prepared yourself for it, and that's the real truth in this latest rumor.